The Gardening Group was established in 2012 with the aim of providing a forum to share information, swap plants and gardening know-how, and to improve the local environment of the village of Halton. Meetings are held in the Coffee Shop at the Centre on the 3rd Tuesday of each month from 9.30 am to 11.30 am. All are welcome. You don’t need any gardening knowledge or expertise. We are keen to involve all sections of our community, and we are open to ideas and suggestions for individual and community benefit. The group’s AGM was held on 24th October 2018 at the United Reformed Church on High Road. Members have taken on specific projects and successfully enhanced areas in the village such as the walkway to The Centre @Halton from the High Road, the Memorial Garden, entries to the village, the Burial Ground, some of the areas around The Centre and some grass verges. A planter was installed near the bus stop opposite the top shops sponsored by the Halton Hydro. Our latest project is the new raised bed at the top of the ginnel. The main hall was in full bloom for the Plant and Craft Sale on 19th May 2018. Organised by the Halton Gardening Group, it was almost like the Chelsea Flower Show! Plants included bedding, perennials, herbs, salad, vegetables and even some trees. Members of the groups were on hand to offer advice. The range of craft items was varied and delightful. All in all it was a very good day. At the end of the sale the raffle was drawn. Prizes were donated by local people and businesses, including A M Hair, Blacks Chippy, Halton newsagent, Halton Village Butchers, HiQ Garage, Lancastle International, Out of the Woods and The Greyhound, thanks to everyone for their kind donations. 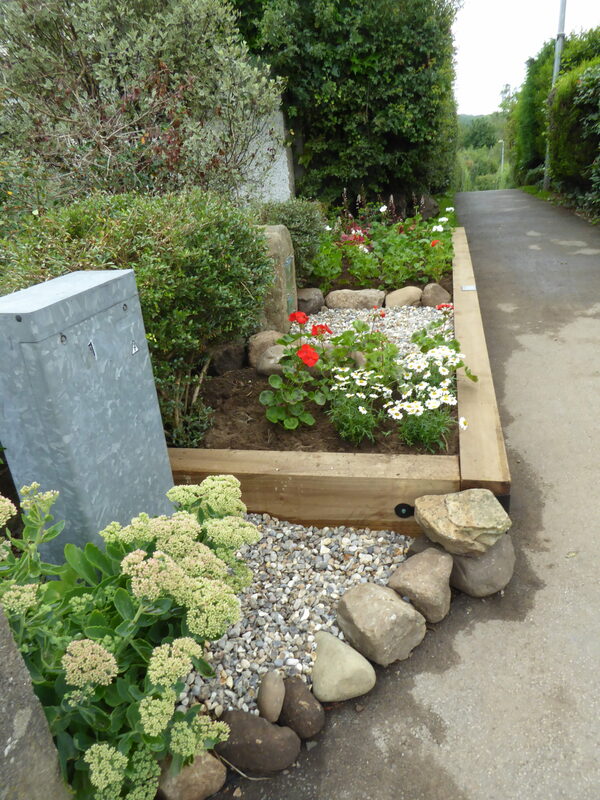 The money raised by the Halton Gardening Group at these events goes towards planting around the village, replenishing the planters, plants at the memorial garden and burial ground, by the ginnel, and new planters to continue to beautify the village. A very successful Garden Safari was held in the village in June 2017. 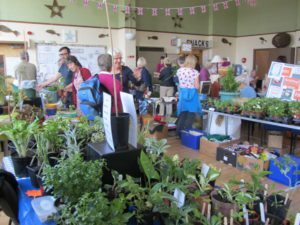 There was a well supported plant sale at the United Reformed Church in May 2016. You can view our constitution and responsibilities below. Contact either Janet Theobald (Secretary) on tel: 01524 811419 or Ann Wilson (Chair) on tel: 01524 811684 for more information on the Group.